Originally from Fishers, Indiana, Mr. Clark started dancing at the age of 19. He attended Ball State University graduating with a BS in Dance Performance with a minor in Theatre. He had performed with the Ball State Performing Dance Company, Anderson Young Ballet Theater and the Central Indiana Dance Ensemble. Mr. Clark has studied and worked with many outstanding choreographers and master teacher including Gail Gilbert(David Parsons Dance Company), Franciose Martinett (Joffrey Ballet), Sylvia Waters (Alvin Ailey), Trinette Singleton (Joffrey Ballet), Luigi and Twyla Tharpe just to name a few. Mr. Clark is very excited to be on the faculty of the Central Indiana Academy of Dance and looks forward to expanding his teaching and choreographing responsibilities. He has been on the artistic staff of Central Indiana Dance Ensemble since its formation. Casey is an ABT® Certified Teacher, who has successfully completed the ABT® Teacher Training Intensive in Pre-Primary through Level 3 of the ABT® National Training Curriculum. Mr. Casey just finished his Progressive Ballet Technique Certification in Phoenix. He is excited to bring something fresh and new back to the studio. PBT will add to the technique of ballet class with alignment, stability, posture, turnout, control and balance! He can not wait to get started with these classes!! Jenna Ledtke Gaudreau is a Michigan based choreographer who has been dancing for twenty years, and teaching throughout Michigan for nine years. She has extensive training in Cecchetti ballet, tap, modern, jazz, lyrical, pointe, acrobatics, gymnastics, contemporary, hip hop, and music theater. After having a successful competitive career in her youth, she became an undefeated soloist during her last competitive year. As an instructor, her unique style and concepts have led her and her students to receive numerous choreography and entertainment awards from top competitions. Jenna is also a judge and contemporary master class teacher for On Point National Dance Competition. She and her husband, Mike, and cat, Lilo, are excited to be moving to the Indianapolis area. When Jenna is not teaching, she is a Pure Barre instructor, judge in the Miss America Organization, nanny, and an extra in feature films. She is thrilled to be joining the Central Indiana Academy of Dance and cannot wait to meet everyone! Jillian Godwin began her dance training in Indianapolis at Dance Magic Performing Arts Center and graduated from Broad Ripple High School, Center for the Performing and Visual Arts. While in high school, she competed in the Prelude Awards and was a finalist in the dance category in 2001 and 2003. Jillian danced as an apprentice for DK for one season before she was promoted to dancer. She has also trained at Chautauqua Institution School of Dance in Chautauqua, New York, and American Ballet Theatre's Summer Intensive in Detroit. Recently, Jillian was accepted to River North Chicago Company's Summer Intensive, where she trained with Sara Bibik, Sherry Zunker and Laura Wade. She was one of only 33 dancers chosen nationally to attend the 10-day workshop. Most recently, she was named one of Indy's top ten most intriguing artists in 2012. She also had the honor of sharing the stage with Michael Feinstein, Liza Minnelli, and Rita Moreno at the 2013 Encore Awards Celebration held at the Palladium. She has also spent time at the Graham School in NYC in 2015 and 2016 on scholarship during their winter intensives. Jillian's mother Donna, even in spirit, continues to feed her drive and passion for art, as well as her father Gregory, the DK family and David H. This is Jill's 15th season with DK. Ashley has been teaching in the Indianapolis area for over 14 years. She began her formal ballet training at the age of 10 with Suzann DeLay, and was a founding member of the Central Indiana Dance Ensemble. While with CIDE, she performed soloist roles such as the Sugar Plum Fairy, Snow Queen, and Rose in The Nutcracker, Alice in Alice in Wonderland, Cinderella in Cinderella, and Wendy in Peter Pan. Rochelle Paquette is originally from Ontario, Canada. She began her dance training at the age of 3, with Elmvale Dance Arts, a competitive dance studio offering Jazz, Ballet, Tap, Modern, Acro and Baton. Through competition she received many accolades including, adjudicators choice award and highest overall score. She continued to train in dance at Lori’s Dance Place in Toronto, Canada where she took her Stage dance exams and achieved teaching status in Stage with the British Association Teachers of Dance (BATD). She continued to teach Jazz and Tap to kids ages 3 through Adult for many years. Her 20 year professional career as a dancer, singer and choreographer, took her to the Canadian Football League as the assistance dance captain for the Toronto Argonauts, and various production shows that allowed her to perform in Las Vegas, Japan, The Middle East, Europe and tours across Canada and the USA. Mrs. Paquette spent some time as a dancer and vocalist for Star Cruise Ships out of Singapore. She was the featured vocalist with Michael Flately’s Lord of the Dance in Las Vegas as well as both the USA and Canadian tours. A career ending accident ended her professional career in 2003. This led Mrs. Paquette to find a new passion through the art of Pilates. She attained a comprehensive certification in Pilates through the University of Las Vegas Dance program/DK Body Balance Method in 2004. She also holds an additional comprehensive certification through Body Arts and Science International (BASI). She continues to teach Pilates at Pilates Indy Inc in Broad Ripple. She also continues to perform on stage as lead vocalist in “Dance Band,” a local Indianapolis Band performing for many corporate events and weddings around Indy. She is thrilled to be joining the CIAOD faculty! Jakob Pringle grew up in Carmel, Indiana, and studied at the Central Indiana Academy of Dance. His training includes studying under Jeff Rogers and Peter Christie as a trainee with Ballet West in Salt Lake City, Utah, and numerous summer intensives across the US including Cincinnati Ballet, The Rock School of Dance, Pittsburgh Ballet Theatre School and Ballet West. He placed 2nd in the Semi-Finals of YAGP in 2012 and competed in the Finals in New York City where he performed in the Grand Défilé for the YAGP Closing Night Gala at Lincoln Center. Jakob has been honored to be a guest artist with North Star Ballet in Fairbanks, Alaska, New American Youth Ballet in Fort Wayne, Indiana, Queen City Ballet in Helena, Montana, and St. George Ballet Company in St. George, Utah for their productions of The Nutcracker. He performed the role of Waltz Boy, set on him by Zippora Karz, in Utah Ballet’s production of Serenade. He has performed with Ballet West in their productions of Aladdin, Cinderella, The Little Mermaid, Giselle and The Sleeping Beauty. In 2015, Jakob had the honor of performing the role of Death in Edward Stierle's Lacrymosa with Fort Wayne Ballet. This production was set on the company by Kim Sagami of the Arpino Joffrey Foundation. Additionally, he performed in Chicago with the premiere of “The Day of The Gypsy”. This full-length story ballet featured the live music of the John Jorgenson Quintet. Jakob is an ABT® Certified Teacher, who has successfully completed the ABT® Teacher Training Intensive in Pre-Primary through Level 3 of the ABT® National Training Curriculum. He is certified to teach the Progressive Ballet Technique to better facilitate his pursuit of dance education. Derek Reid,Associate Professor of Dance, began his training at the Jones-Haywood School of Ballet in his native Washington, D.C. He subsequently studied in intensive programs with Rosella Hightower in Cannes, France, Milwaukee Ballet, Richmond Ballet and Butler University, from which he received a B.F.A. in Dance. Mr. Reid's professional dance career spanned fourteen years, during which time he performed with the Louisville Ballet, Pennsylvania Ballet, Dance Theatre of Harlem, Les Grands Ballets Canadiens and Ballet Met in Columbus, Ohio. He performed and created leading roles in works by such internationally acclaimed choreographers as Choo San Goh, William Forsythe, Jiri Kylian, Nacho Duato, James Kudelka, Mark Morris and Ohad Naharin. His repertoire ranged from the classical to the contemporary, as he performed roles as varied as the prince in The Nutcracker to roles in works by choreographic masters such as Antony Tudor, Vaslev Nijinsky, Irina Nijinska, Agnes de Mille, and George Balanchine. Mr. Reid's television credits include PBS's production of Dance Theatre of Harlem's Fall River Legend,choreographed by Agnes de Mille, as well as the Canadian Broadcasting Corporation's Dancers for Lifegala, in which he performed the pas de deux from Nacho Duato's Rassemblement. Another highlight of his career was dancing Duato's CorPerdutat the Acropolis in Athens, Greece with the Gala des Etoiles. Prior to teaching at the Fort Wayne Ballet, Mr. Reid taught summer workshops at the Northwest Florida Ballet. His choreographic contributions at the Fort Wayne Ballet include Ceremony, Jeux d'Enfantsand The Firebird. Mr. Reid teaches Ballet Technique and Dance History. Kalyn Sankey began her dance training at an early age and has always had a passion for dance. As a member of Central Indiana Dance Ensemble, Kalyn had the opportunity to perform various roles with her first being a ginger snap in the very first Nutcracker. Over the years with CIDE, Kalyn progressed to lead roles such as Sugar Plum Fairy in The Nutcracker, Canary Fairy in The Sleeping Beauty and Michael in Peter Pan. Kalyn was accepted into summer programs with Joffrey Ballet, Milwaukee Ballet and Orlando Ballet School. Kalyn has competed in Youth America Grand Prix semi-finals along with other dance competitions. After high school, Kalyn attended the University of Iowa receiving the Iowa Arts Council scholarship and academic and dance scholarships. As a freshman, Kalyn was offered the opportunity to be a guest artist dancing in Carmen with the Cedar Rapids Opera Company. Kalyn auditioned and became a member of Dancers in Company, University of Iowa’s touring Dance Company, performing and providing outreach throughout Iowa. She majored in Dance Performance and received a certificate in Performing Arts Entrepreneurship. Kalyn was offered a position to dance professionally with Thodos Dance Chicago following graduation. She decided not to accept the position for personal reasons and pursue a career in entrepreneurship while teaching dance. Kalyn is excited to be joining the faculty at Central Indiana Academy of Dance. Caitlin Sloan, originally from Rochester Hills, MI, began her training at the Rochester School of Dance under the instruction of Cornelia Sampson. As a member of the school’s resident company Michigan Ballet Theatre for six years, she danced principal roles including Clara in the Nutcracker and Princess Florine in Sleeping Beauty. She also studied at summer intensives with American Ballet Theatre, Pittsburgh Ballet Theatre and Eisenhower Dance Ensemble (on full scholarship). Caitlin attended Grand Valley State University on scholarship, where she was named Outstanding Dance Student of 2009. Her notable roles at GVSU include the soloist in George Balanchine’s La Source, principal in La Viviandère and Pascal Rioult’s If By Chance. After graduating with a Bachelor of Arts in Dance from GVSU, Caitlin joined Ballet Tucson under the direction of Mary Beth Cabana as a trainee, rising to the rank of apprentice during her second season. While with Ballet Tucson she danced in works by artists including John Gardner, Amanda McKerrow, Chieko Imada, Mark Schneider and Jeffrey Graham Hughes. She has also performed professionally with Grand Rapids Dance Project. Caitlin joined Missouri Contemporary Ballet in 2011 under the direction of Karen Mareck Grundy. Notable roles with MCB include Alice in Alice’s Adventures in Wonderland, Stepsister in Cinderella and The Bride in The Big Day. She has also performed principal and soloist roles in works by artists including Karen Mareck Grundy, Shannon Lee West, Thang Dao, Autumn Eckman, Penny Saunders, John Mark Owen, Christian Denice, Lindsey Matheis, Fernando Rodriguez and Kameron Saunders. Caitlin retired from the stage in June 2018 after dancing for seven seasons with Missouri Contemporary Ballet. Beyond the stage, Caitlin taught at the School of Missouri Contemporary Ballet since its inception in 2011 and was named School Director in 2014. As School Director, Caitlin founded the Missouri Contemporary Ballet Youth Ensemble, aimed at giving advanced students professional performance opportunities to further prepare them for a future career in dance. She also served as a lead instructor for the School of MCB’s adaptive dance program. In 2017, Caitlin earned her Graduate Certificate in Nonprofit Management from the University of Missouri. Upon her retirement, she was named Associate Executive Director of Missouri Contemporary Ballet. Caitlin recently moved to Indianapolis with her husband Steve and dog Pilot. She is thrilled to embark upon a new career as Academy Administrator for Central Indiana Academy of Dance and Communications and Production Coordinator for Central Indiana Dance Ensemble. Kylie Williams has been a dancer since the age of three. Her love for the performing arts led her to pursue an education in modern dance through the Conservatory of the Performing Arts at Point Park University in Pittsburgh, PA. Kylie had the opportunity to perform memorable works through the Conservatory including Martha Graham’s “Steps in the Street,” Kyle Abraham’s “Continued Relations” and Paul Taylor’s “Esplanade” as a soloist. She has also attended Point Park University’s International Summer Dance Intensive and Perry Mansfield Pre-Professional Dance Intensive. While in college, Kylie discovered yoga as a wonderful way to enhance her physicality, performance skills and quality of life. She earned a RYT 200 through the Baptiste Yoga Institute in 2016 and is pursuing a secondary 200-hour RYT certification program based on the Bikram Method. 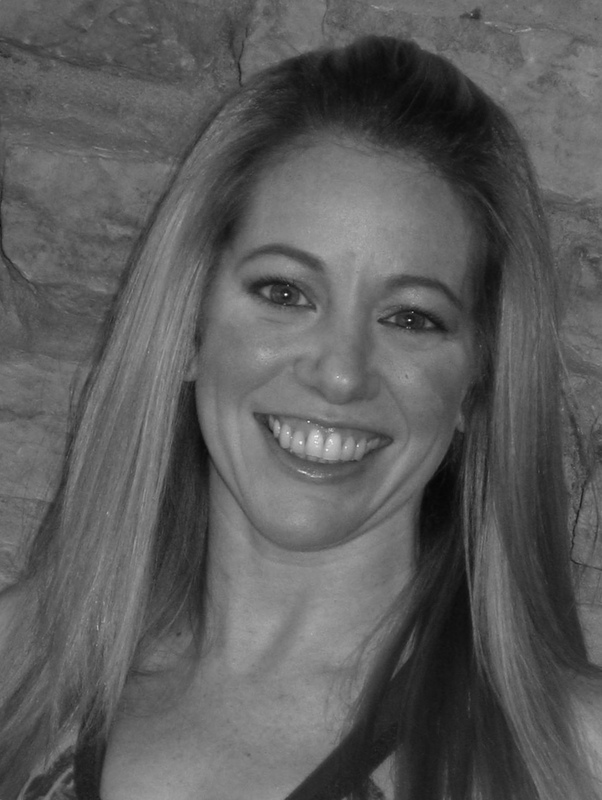 Kylie currently teaches at Life Time Fitness, The Hot Room Indianapolis and Central Indiana Academy of Dance. Between teaching and taking classes, Kylie is a company member with Indianapolis dance company Phoenix Rising. Kylie loves sharing a piece of herself through passion, love and gratitude.